Thank you for your patience. It has been a long time between posts. I am afraid to say that illness stopped me in my tracks this year. I am very happy to say that I am getting better by the day, which allows me to return to the activities that I love. Fortunately I have been able to continue a selective choice of storytelling gigs for the most part. Overall I have been struck by just how much adults love storytelling. In early January I performed at the Illawarra Folk festival to a tent packed with children and adults. By the third day many adults were there without children, listening, laughing and participating. Then in mid January I completed a one week improvised storytelling gig at the Sydney Opera House. I performed 3 shows a day alongside of the Hairy Maclary show. Always after a storytelling session I get the hugs and laughs and additions to stories from the kids and then the older audience would come up. It is a wonderful moment as I get to hear about the stories they used to hear, the stories they tell and the stories they love. Storytelling creates such an intimate connection between teller and listener that the memories stand out as an absolute treasure amongst adults. 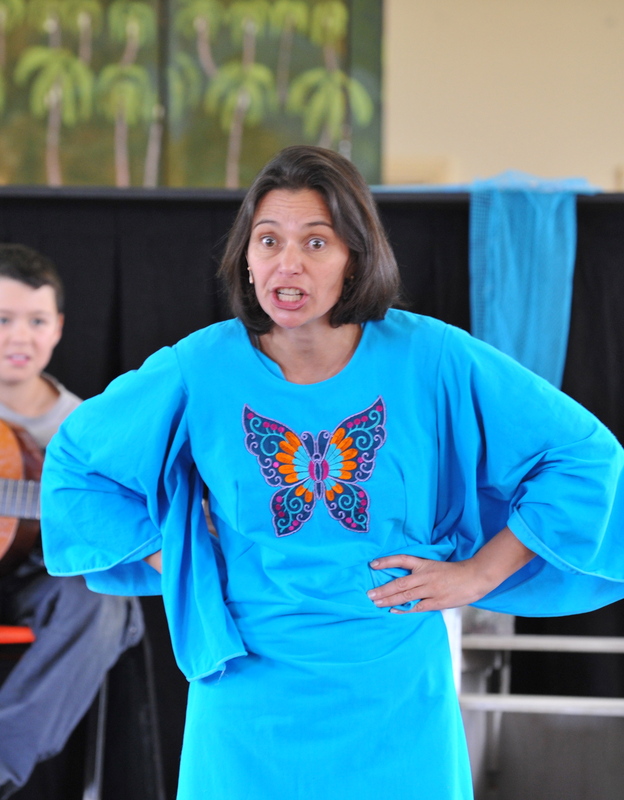 Above is a photo of me performing La Mariposa – a bilingual story which is an absolute favourite amongst festival audiences. When I performed at the Snowy Mountains of Music Festival in Perisher, I had more adults in the audience than children. With groups of adults attending specifically to hear stories even though they did not have children with them. Most significantly Storytellers NSW http://www.storytellersnsw.org.au/ organised an international storytelling conference in June 2012 and hold regular events. http://www.storytellersnsw.org.au/ which is a wonderful way to get your storytelling fix. So wherever you are and whatever your age I hope you are getting out and enjoying live stories. Better yet I hope you are staying in and creating wonderful stories.